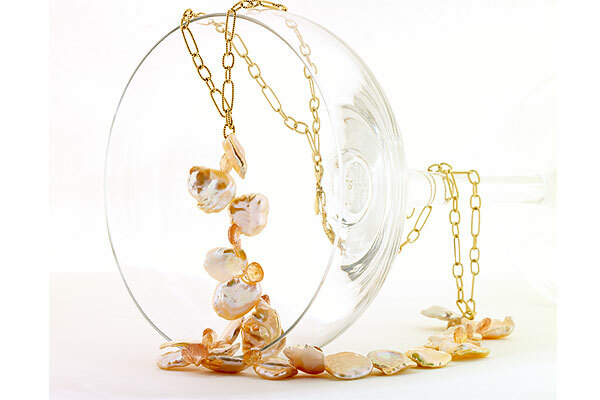 Custom made 18kt yellow gold and pastel freshwater pearl necklace. 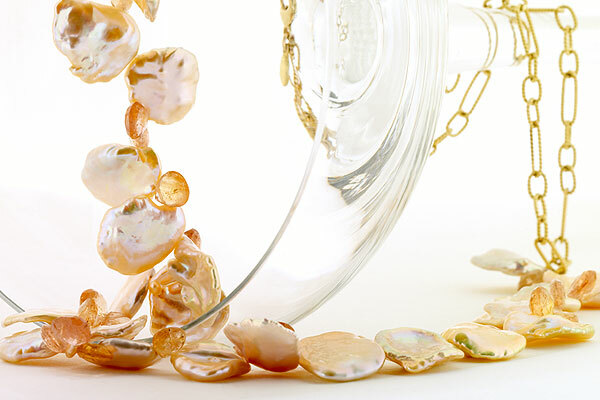 The pearls are called petal pearls, because they look like rose petals when they are dried. 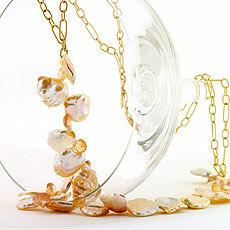 The soft, ballet pink, color of the pearls, with hints of tangerine compliments the gold hand made chain. There are champagne tourmaline briolettes scattered around the necklace to enhance the variations of the pearls. The uniqueness of this design is an expression of the sun setting on a hot summer day.